The Georgia Supreme Court has weighed-in on the issue of manufacturers’ liability for take-home exposure cases. In the opinion recently issued in CertainTeed Corporation v. Fletcher, the Court drew an unexpected distinction between a manufacturer’s duty to issue warnings and its responsibility to keep harmful products out of the stream of commerce. Justice Carol Hunstein, writing for the Court, concludes that while manufacturers do not generally have a duty to warn third parties of the possible hazards of asbestos dust from its products, a manufacturer does bear the burden of proving that its product, as designed, is not defective. The opinion comes as a bit of surprise, as it seems to contradict a prior opinion issued by the Court, wherein it held that an employer owes no duty to third-party, non-employees, who come into contact with its employees’ asbestos-tainted work clothing at locations away from the work place. Plaintiff Marcelle Fletcher filed suit in Georgia after being diagnosed with malignant pleural mesothelioma. In her complaint, Fletcher alleges that years of laundering her father’s asbestos-tainted clothing caused her to come into contact with asbestos from cement water pipe manufactured by CertainTeed, which eventually caused her mesothelioma. When the trial court granted CertainTeed’s motion for summary judgment on Fletcher’s failure-to-warn and product defect claims, Fletcher appealed. 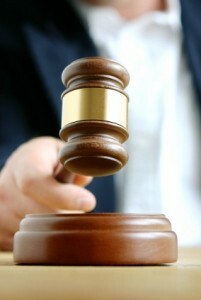 The appellate court reversed and the Georgia Supreme Court thereafter granted review of CertainTeed’s appeal.